SHOP A WIDE VARIETY OF GENUINE & AFTERMARKET LAND ROVER PARTS! At Rovers North we’re dedicated to all things Land Rover. Our sales team has over 100 years of experience with parts and service for Land Rovers. We know you want to order with confidence, so everything you buy from Rovers North comes with our 2-year warranty against defects. We are committed to reducing our environmental impact by using renewable energy and recycled or enviromentally friendly packaging whenever possible. Rovers North opened our doors in 1979 to Land Rover enthusiasts in Vermont USA; 8 years before Land Rover would return to North America. For the last 40 years we've been providing the United States, Canada and beyond with a full inventory in stock of Genuine Land Rover parts, OEM LR parts and aftermarket accessories. We are dedicated to all things Land Rover and only Land Rover. We’re not just another wholesale online store or big box auto parts store. We only supply genuine and quality aftermarket parts and accessories that we would use on our own Land Rovers. We carry all the parts you need online for sale whether you have a Land Rover Defender, Series II, Series IIA, Series III, Discovery I, Discovery II, LR3, LR4, Range Rover Classic, Range Rover or even a Range Rover Sport. 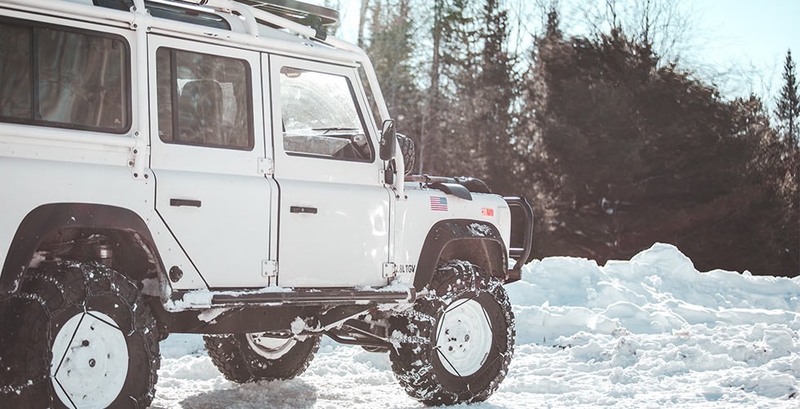 Our primary goal has always been to keep your classic or new Land Rover on the road many years to come. We have thoroughly enjoyed supplying you with the Land Rover parts you need for 40 years, and we look forward to another 40 years and beyond.